Gray Hair? Untamed Frizzy Hair? Flat & Lifeless Hair? Fret not. Find out more about this evolutionary concept which encompasses Liese Blaune Creamy Foam Color and Segreta for total Ageing Hair solution. 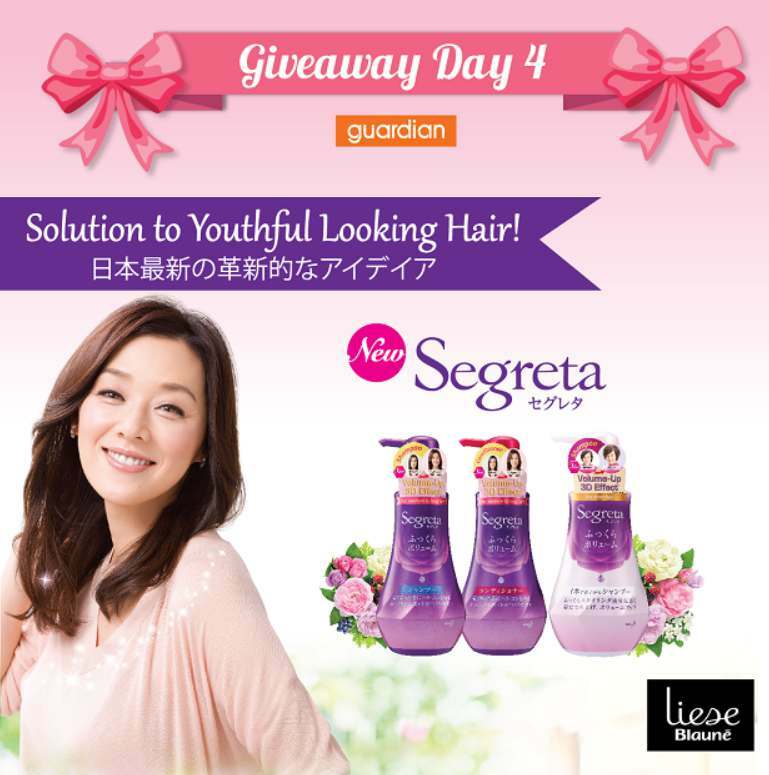 We have 3 sets to giveaway worth RM120 each, today! Just comment below with your answer and 3 lucky winners will be chosen today. Which are the latest products from Kao that will help to solve your Ageing Hair concerns?